Lice don't take a winter break, says Lauren Salzberg, the woman known as the Potomac Lice Lady. She offers advice to parents about nits. WASHINGTON — Sometimes it’s the most unusual professions that bring in the business. And the woman affectionately known in Montgomery County, Maryland, as the Potomac Lice Lady says she’s busier than ever. “Well, I’m the Potomac Lice Lady,” Lauren Salzberg says cheerfully. Salzberg is the first to admit that she never thought she’d be nitpicking all day. It just happened. “I was kind of known as someone who is not a doctor but I play one on TV! People would come to me with everything,” she says. It started when she worked as a preschool teacher. And after having three kids, she says, nothing fazes her. A friend convinced her to turn her good deeds into a business model. It started as a mobile business, and years later, she says, her home salon is seeing more cases than ever. “That’s in part because the lice are really resistant to the pesticides and over-the-counter products available,” she says. “There used to be a no-nit policy in place and now there really isn’t a policy in place. Children can go to school with lice. They don’t have to be 100 percent clean,” Salzberg says. Montgomery County Schools changed its policy in 2007, which now allows nits found more than a half-inch from the scalp. And while most of her clients are kids, she says lice don’t take a winter break. “People think that it’s only a winter thing. Some people think it’s only a summer thing. We see it all the time,” she says. She says prevention is the best method, which can be done by checking children with a professional lice comb. 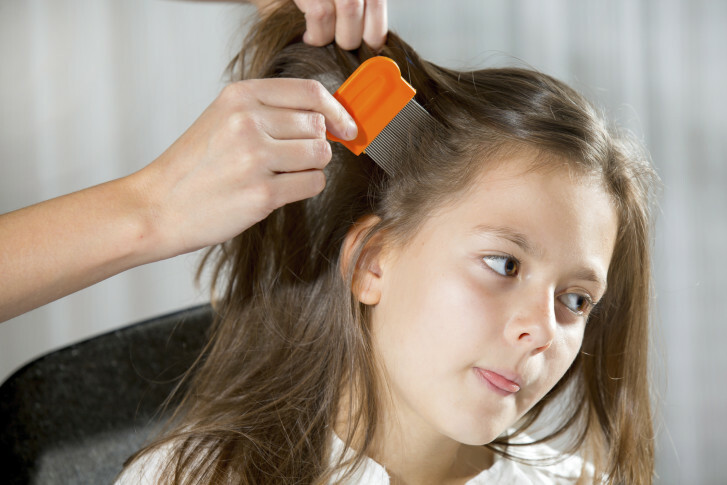 But if a child or adult already has lice, her advice is simple. “Comb, comb, comb. Comb it out. It’s not worth the chemicals. It’s not worth the risk of putting the chemicals on your child’s head. 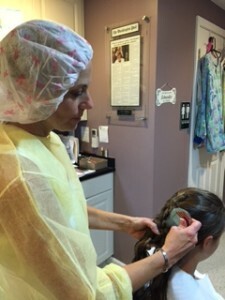 All you need to get rid of lice is a good quality lice comb and patience,” she says.